The A&M Rapid Results Program™ is a comprehensive approach to performance improvement designed for portfolio companies of private equity (PE) funds in a structured yet accelerated, quantified and highly prioritized process. Leveraging the same operational heritage and bias towards action that is the hallmark of the A&M legacy, our A&M Rapid Results Program™ team has a deep bench of industry veterans, functional experts and experienced operators. PE investors often find themselves challenged with driving EBITDA and enterprise value growth within notoriously short holding periods in their investment portfolios. 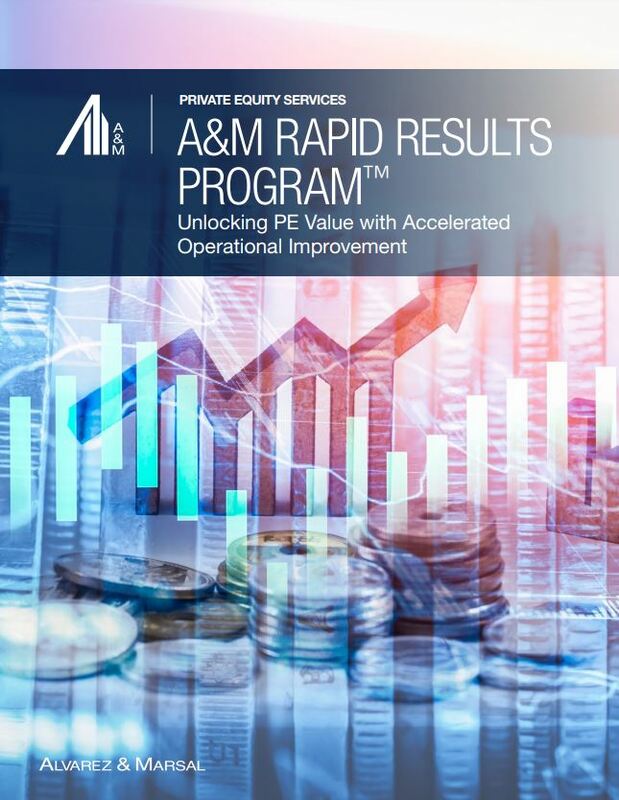 The A&M Rapid Results Program™ has been the proven tool that our PE clients most often leverage to positively impact revenue, cost and margin drivers, as well as working capital in a compressed timeframe. Sourcing and procurement – sourcing cost optimization, process optimization, organizational alignment, etc.